Paradox: ayahuasca is not the core of the ayahuasquero medical system. In the tradition, God (slippery word) is the doctor and the medicine. 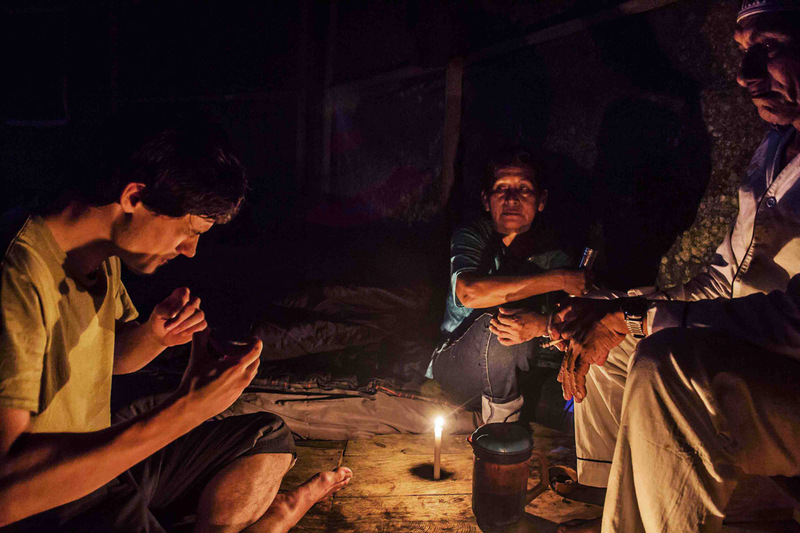 Ayahuasca is the curandero’s tool to connect to the spirit world. So, he receives the healing music, the icaro, which he sings over the patient’s body during the ceremony; their spiritual allies inform him of the nature of the malady and the treatment needed by the patient, the medicinal plants and the diet the patient should follow. Patients of a certain seriousness do not take ayahuasca; in some indigenous populations only the healer takes it. In the ayahuasca practiced (and modified) by foreigners, everything revolves upon the crucial moment to hasten the vomitive infusion, in whose molecules, one might venture, God is found. 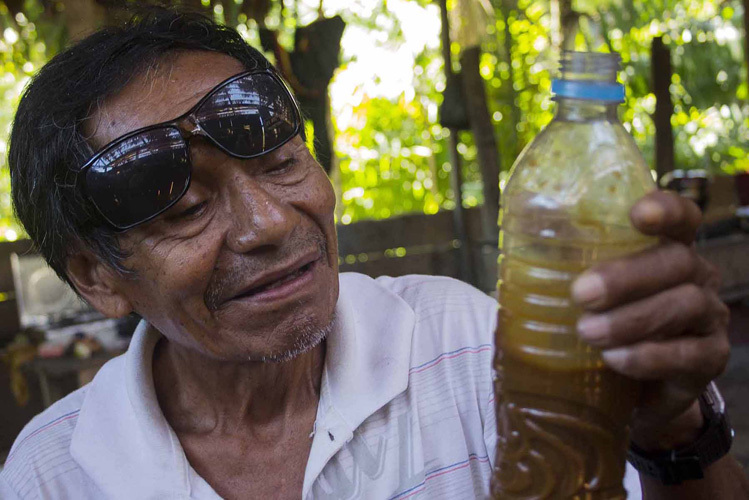 The ayahuasca brew is known locally as “the purge”: rather than to address a specific disease, the locals consume it to cleanse the stomach and the blood, throw up bad energy and attract good luck: hunting, sales, wife or husband. Thus, the purgative property of the remedy (result of the vine’s alkaloids, Banisteriopsis caapi) is privileged over its visionary property (due to the DMT of the chacruna, Psychotria viridis). 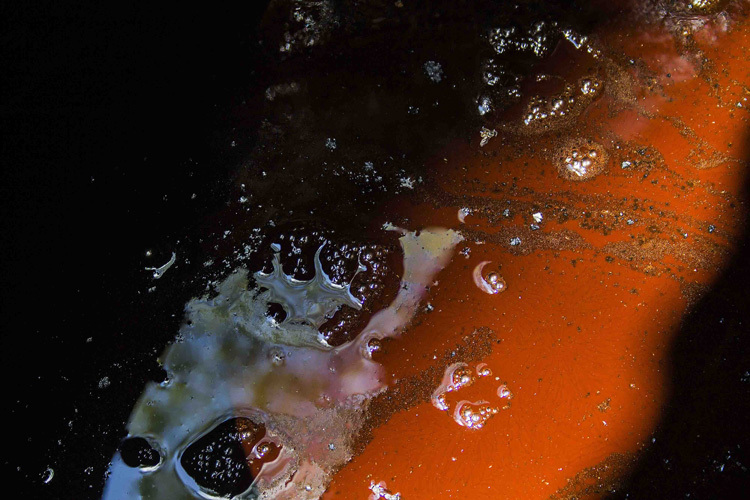 Westerners, in popular texts and widespread opinion, celebrate DMT; the vine’s function is to allow the DMT not to be destroyed in the stomach but instead reach the bloodstream. They show tolerance with the natives, who gave the drink the name of the less important plant in the formula. Vision happens to be an obsession in the West: they only care about the DMT and the supposed fantastic worlds it delivers. Assumptions: colourful visions are rarely reached. Ayahuasca is taken on the warpath: the curanderos are engaged in ruthless struggles against envious sorcerers. The work of the curandero reaches its highest expression when caring for a patient with daño: the sorcerer has pierced the patient’s body with the dreaded and painful virote (magic dart), or perhaps with a dangerous animal that gnaws the bowels. If the curandero overcomes the disease, it turns against him with redoubled energy; if he is not well prepared he will die. Oblivious to this spiritual war, foreigners see a path towards love and self-knowledge in the world of ayahuasca; many find it. How to put a price on healing that is the work of God? Before Monster gazed upon ayahuasca, curanderos did not charge: their work was offset by voluntary donations (food, tools, even money). Not so voluntary: the mechanisms of reciprocity of Amazonian society determined them: nobody wanted to be labeled a miser and ostracized. But foreigners do not sleep on the floor, they are neither satisfied with banana and fish, nor can stand mosquitoes: they want to be comfortable. Moreover, they do not bring chickens to exchange and if they are given the chance they have the habit of leaving without paying (mixing spirit and matter disgusts them). Thus, the dangerous gentleman Mr. Money (faithful follower of Monster) comes to play, and also the fearsome Lady Inflation, without forgetting Intermediary, such a bright spark. 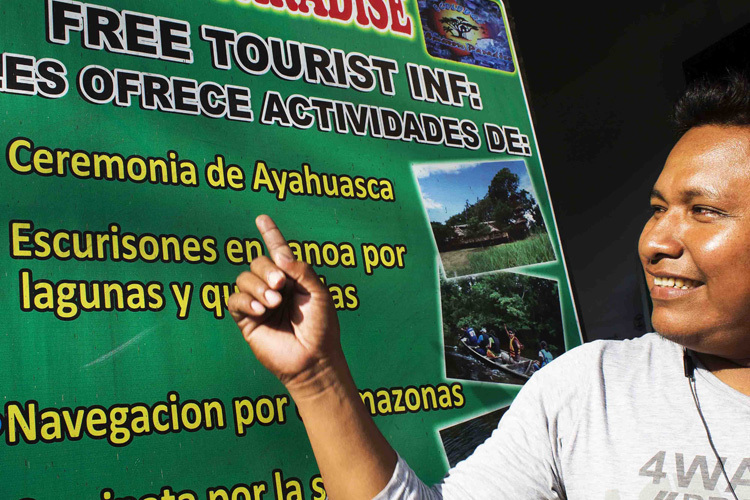 Carlos Suárez Álvarez is an independent researcher who lives in the Colombian city of Leticia, by the Amazon river, since 2007. He’s got a Master’s degree on Amazonian Studies by the Universidad Nacional de Colombia and has focused his research interest in economic development and cultural change throughout the Amazon. The ideas suggested in this article are developed in extenso in his multimedia book Ayahuasca, Iquitos and Monster Vorāx, a multimedia narration that portrays the work of seven maestros of Iquitos, along with the remarkable transformations that the so called phenomenon of “ayahuasca tourism” is producing in traditional practices. Well, you have to remember that in the West, in the US, for example, human embryos have a market sales value, and so do pork bellies. Thank you, Señor Álvarez. The whole point of a “life changing experience” is that it comes to you. Chasing after it around the globe, copycatting the costumes of other cultures, drinking their vine, speaking their truth: all this activity may well relieve the boredom for a while, but sooner or later that empty feeling will return, signifying it’s time to pack your bags and go chasing again, deeper into the Peruvian jungle, higher up the Himalayas, longer at Sri Lankan Ayurvedic resort. I have only respect for the South American healing tradition, but if God really wanted me to drink Ayahuasca, I’m sure in his wisdom he would’ve arranged for me to be born in say Pucallpa, Peru, rather than banks of the river Danube, Europe. Please note: Owing to the complex legal status of ayahuasca in many places, comments geared towards finding ayahuasca or ayahuasca ceremonies cannot be accepted. Comments with commercial intent are also not accepted. While you may feel compelled to, please refrain from giving medical advice, especially in regard to a physician prescribed pharmaceutical regime. One may offer proven scientific studies and contra-indications regarding specific medication/foods, but must not advise the cessation of prescribed medication. Previous PostSo You want to Become an Ayahuasca Facilitator? 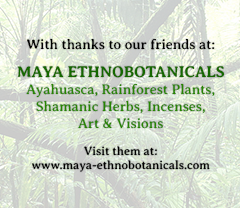 Your support assists with operating costs and helps keep Ayahuasca.com going strong.